In Vaquita: Science, Politics, and Crime in the Sea of Cortez, author Brooke Bessesen takes us on a journey to Mexico’s Upper Gulf region to uncover the story behind the world’s most endangered marine mammal. Through interviews with townspeople, fishermen, scientists, and activists, she teases apart a complex story filled with villains and heroes, a story whose outcome is unclear. 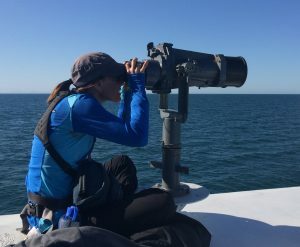 In this post we chat with Brooke about her investigations in Mexico, local and international efforts to save the vaquita and the current status of this diminutive porpoise. The vaquita entered the collective imagination (or at least, my imagination) when it became world news somewhere in 2017 and there was talk of trying to catch the last remaining individuals, something which you describe at the end of your story. Going back to the beginning though, how did you cross the path of this little porpoise? I first heard about vaquita during a visit to CEDO, an educational research station in Puerto Peñasco, Mexico. I was enchanted to discover this beautiful little porpoise was endemic to the Upper Gulf of California, mere hours south of my home, yet saddened to learn it was already critically endangered. I still have the t-shirt I bought that day to support vaquita conservation. That was 2008 when the population estimate was 245. The last update I could find was an interview in March 2018 on Mongabay with Andrea Crosta, director of the international wildlife trade watchdog group Elephant Action League. He mentioned there might be only a dozen vaquita left. Do you know what the situation is like now? The last official population estimate was <30, but that was from 2016. With an annual rate of decline upwards of 50 percent, the number is surely much lower. If only we were able to watch the numbers go down in real time, we would all be forced to emotionally experience this sickening loss. But I think there is a (legitimate) fear that if an updated estimate revealed the number to be in or near single digits, key institutions might announce the species a lost cause and pull up stakes. If pecuniary support disappears, it’s game-over. Vaquita has graced the planet for millions of years—we cannot give up the battle to prevent its extinction so long as any number remain. Once your investigation on the ground in Mexico gets going, tensions quickly run high. This is where conservation clashes with the hard reality of humans trying to make a living. Corruption, intimidation and threats are not uncommon. Was there ever a point that you were close to pulling out because the situation became too dangerous? Truth told, my nerves were prickling from start to finish. The emotional fatigue was intense. 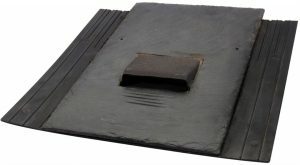 But having witnessed the gruesome death of Ps2 [the designation given one of the Vaquita carcasses that washed up, ed. ], I simply could not turn back. Then as the humanitarian crisis became clear and I was meeting families struggling to raise children in the fray, I was even more committed to telling this story. When courage wavered, I only had to remind myself of the host of social scientists, biologists, activists, and law-abiding fishermen working so bravely for the cause. You describe a widespread indifference to the vaquita. I have the feeling a lot of this is cultural. Do you think a change in attitude can ever be effected? 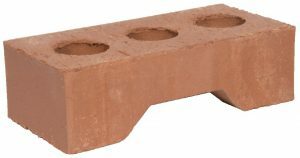 Or is the combination of poverty and the need to make a living completely at loggerheads with this? I see two main obstacles to solving the vaquita crisis: corruption and poverty. In that order, because until local citizens can trust their military and police officers to rightfully enforce law, and until Pesca [Mexico’s National Fisheries Institute and its National Commission of Aquaculture and Fisheries, ed.] authorizes legal, sustainable fishing methods instead of providing loopholes for poachers, there will be no economic stability in the region. Money is pouring into the pockets of crime bosses while upstanding folks barely get by. Focused on either greed or survival, nobody has much capacity to care about porpoise conservation. That said, I do believe change can be effected. Several NGOs are already connecting with the communities in meaningful ways, and mind-sets are slowly shifting. If Mexico’s president-elect Andrés Manuel López Obrador, who goes by the nickname Amlo, manages to abolish corruption as he has promised to do, civic finances will balance out and efforts to care for vaquita will find better footing. As the story progresses, more and more foreign interests enter this story. Sea Shepherd starts patrolling the waters, and Leonardo DiCaprio also gets involved, signing a memorandum of understanding with the Mexican president to try and turn the tide. What was the reaction of Mexicans on the ground to this kind of foreign involvement? Are we seen as sentimental, spoiled, rich Westerners who can afford unrealistic attitudes? 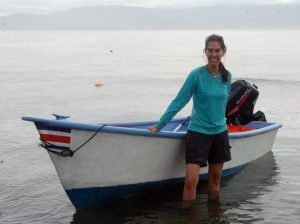 Since the majority of environmentalists working in the Upper Gulf are Mexican, and even Leonardo DiCaprio had the alliance of Carlos Slim, the socio-political divide does not seem to be so much between nationalists and foreigners as between fishermen and environmentalists. Fishermen who openly expressed distain for “outsiders” disrupting business meant Sea Shepherd, for sure, but they also meant scientists and conservationists from places like Mexico City, Ensenada, and La Paz. Some of the locals I spoke with or followed on Facebook did seem troubled by the amount of resources being spent on vaquita while their own human families suffered. They felt the environmentalists were not appreciating the strain and fear of their jobless circumstances. Then again, a good percentage voiced gratitude for the efforts being made to protect vaquita as a national treasure and seemed to feel part of an important crusade for their country and their community. Related to this, the West has outsourced the production of many things to countries overseas and so many of us are far removed from the harmful impact that our desire for food and stuff has on the environment. Deforestation in the Amazon to graze livestock for hamburgers is one such long-distance connection that comes to mind. The vaquita has also suffered from the impact of shrimp trawlers. No doubt many who shed tears over the vaquita will happily gorge themselves on said shrimps without ever making the link. Do you think that globalisation has in that regard served to polarise the debate where wildlife and nature conservation is concerned? Yes, this is a really important point. It’s easy to point fingers, but we are all complicit in the destruction of ocean life. Anyone who eats fish or shrimp caught in gillnets—or trawls, or longlines—is funding the slaughter of cetaceans and sea turtles and myriad other animals. It’s a painful truth. 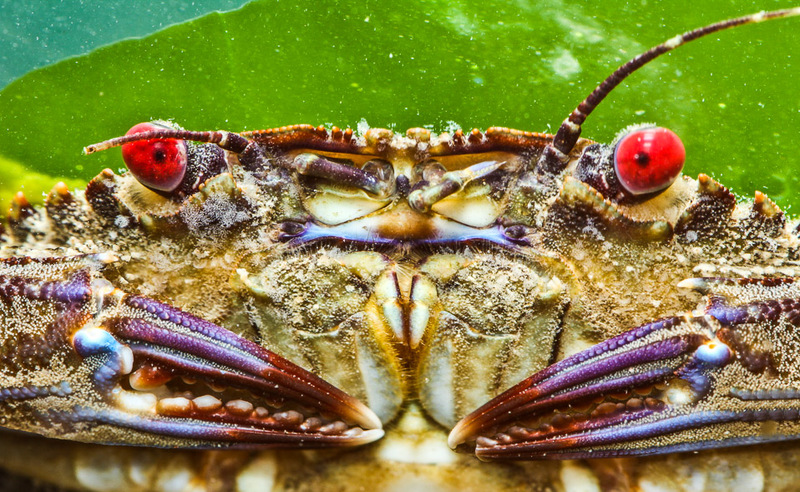 The root of the problem is that most of us don’t know, and don’t care to ask, where the seafood on our dinner plate came from. This is not intended to be accusatory, as I, too, am finding my way in this era of culinary disconnect. I just know the first step is to quit pretending we are bystanders. One side of the story I found missing from your book was that of the demand for totoaba swim bladders in China. I imagine it might have been too dangerous or time-consuming (or both) to expand your investigation to China as well. How important and how feasible do you think it is to tackle the problem from that side? Without a demand for totoaba bladders, the vaquita wouldn’t face the threats of gillnets after all. I think it’s imperative to attack the totoaba trade from the consumer side, with the goal of systematically eliminating the demand for swim bladders. As for feasibility, I’m less confident. Time and distance prevented me from effectively researching the situation in China, but from what I’ve read, the cultural, political, and economic trappings there are just as complicated as they are in Mexico. I’m pleased to know efforts are underway. It also must be said, though, that ending the totoaba trade is not a sure-fire resolution for vaquita because fishermen in the Upper Gulf traditionally use gillnets for a range of legal fish. With the book now written, are you still involved in efforts to protect the vaquita? Knowing what I know now, it’s unthinkable to walk away from vaquita. I was down in San Felipe last month, exchanging summer c-pods and catching up on the latest news. Everyone is nurturing the flicker of hope that Amlo will take action to save his national marine mammal by cleaning up the corruption that has stymied vaquita conservation. 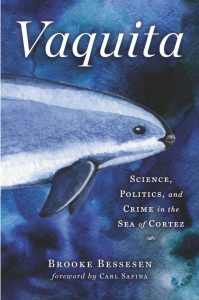 Vaquita: Science, Politics, and Crime in the Sea of Cortez is due for publication in September 2018 and is currently available at the pre-publication price of £19.99 (RRP £22.99). 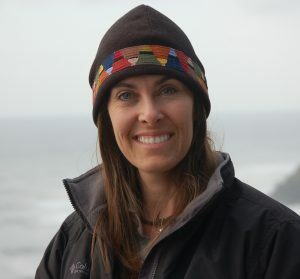 Mary Colwell is an award-winning writer and producer who is well-known for her work with BBC Radio producing programmes on natural history and environmental issues; including their Natural Histories, Shared Planet and Saving Species series. 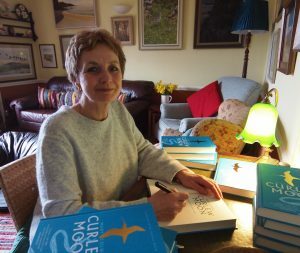 Her new book, Curlew Moon, documents her 500-mile journey from the west coast of Ireland to the east of England to raise awareness and funds for the Curlew, now one of the UK’s most threatened birds. 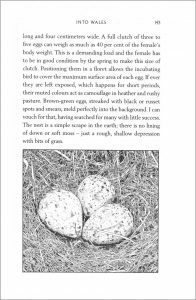 Part travel diary and part natural history, the book is also a beautiful exploration of the way in which the Curlew appears in local myths, culture and language. 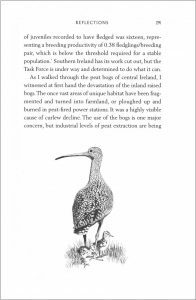 We were delighted to chat with Mary about the book and about her fight to save the UK Curlew population before it’s too late. I guess I’ll start with the obvious question – why Curlews? What is it about them that captivates you and has made you dedicate so much time and energy to raising awareness for their conservation? That’s perhaps the most difficult question. I honestly don’t know why Curlews in particular, other than I love the way they look, how they sound and where they live. Those calls over wetland and meadow or over mountain slopes are soul-grabbing. W S Graham described the Curlew’s call as a ‘love-weep’ a melancholic, yearning, beautiful sound. I grew up in the Staffordshire Moorlands and back then, in the 70s, they were common, so perhaps they infiltrated my brain! 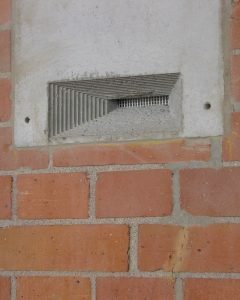 What I found on the walk is that many people feel the same. To know them is to love them. And over the last few years, as I became aware of what was happening not out on the savannah or in a rainforest, but right here under our noses, I decided to try to help. A contract with the BBC Natural History unit came to an end and the next day I started to plan the walk. Where I live in North Wales, on the banks of the Menai Straights, the sight and sound of curlew are very common. Living somewhere like this, you could easily believe that they are both abundant and thriving here in the UK. Do you think that this, along with a lack of understanding of their complete natural history (e.g. the types of habitat they require to breed, food sources and predator pressures) contributes to masking the problems they face? For sure that is the case. The UK and Ireland population of Curlew are boosted by winter visitors. From August to March as many as 150,000 Curlews rest up and feed ready for the breeding season. But come the warmer months most disappear back to N Germany, Scandinavia or Finland, leaving our own breeding birds thinly scattered. Also, as Curlew don’t breed until they are at least 2 years old, juveniles may well spend all year on the coast. The story of loss is in the fields and meadows. A Curlew’s life is complicated, and we are only just getting to grips with that. It needs whole landscapes to feed, roost, nest and over-winter. They bind the coast to the mountains and country to country. It’s hard to understand, but worth the effort. They really are fascinating. Poetry features heavily in the book and I absolutely loved how you explore the myriad ways in which the curlew features in the myths, legends and cultures of the areas you passed through. (I am currently in the process of moving to Clynnog Fawr so I was particularly thrilled with the tale of St. Beuno!). Why did you choose to style the book in this way rather than writing a more prosaic natural history and travel diary? I think being a producer on Radio 4’s Natural Histories for two series deepened my understanding of just how much the life around us has contributed to art, literature, poetry, science, folklore and spirituality. 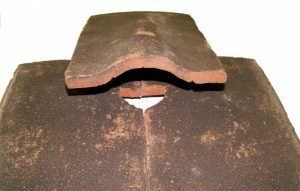 For all of our time as humans on earth we have looked at the natural world and forged connections. We still do that today. Part of the reason for the walk was to discover how curlews have inspired us. 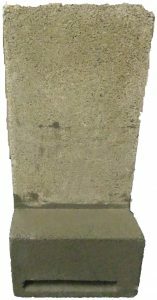 I had known about the lovely story of St Beuno and the Curlew for a long time – enchanted by it – so I knew there must be more out there. And there certainly is! Particularly at a time where it seems that we are encouraged to value wildlife primarily for how it can benefit us, and ‘ecosystem services’ type approaches aim to put a monetary value on our wild spaces and creatures, do you think the arts have an important role in highlighting and championing those species that might otherwise fade away without notice? Yes of course, anything that helps us to re-engage with nature is vital, be that through arts or science or economics. People are complicated – each of us has so many facets, rolled into one being. We are consumers, parents, children, lovers, friends. We are both rational and irrational, emotional and calculating, loving and full of division. Spiritual, religious, atheist, agnostic, often all at the same time. The arts understand this complexity and great art touches all those facets. The role of the arts in our lives is incalculable, so it isn’t surprising it doesn’t appear on a financial spreadsheet. I’m not sure I could write a straight natural history of any animal, bird or plant. I will always want to delve into its connection to our lives. With any conservation work, it can sometimes feel as though you are swimming against the tide, with every move forward followed by two moves back. Especially with a species such as the Curlew, where there seem to be so many challenges to overcome, how do you maintain the hope required to keep fighting and how do you prevent yourself from succumbing to despair? I touch on this a bit in the book – in the section where I walk though the middle of England with a friend who is an ex- Dominican friar, a gay activist and a writer, Mark Dowd. He helped put my feelings into context. This wasn’t a walk that will necessarily produce tangible proof of more Curlews on the ground within 5 years. Rather it is in the realm of hope – that something good will emerge at some point. It was a walk of trust, that if you put yourself on the line, people will respond. And so I didn’t walk with the aim that there would be a 20% increase in curlews in the UK and Ireland by 2020 (although that would be great), rather it was underpinned by a hope that people will be more aware of what needs to be done and will act on it. The series of workshops I organised with help from so many good people also gave me hope. We may fail, we may yet lose curlews from large areas, but, as David Attenborough once said, “As long as I can look into the eyes of my grandchildren and say I honestly did what I could, then that is all I can do.” I agree with that. My final question is of a more practical nature, as I’m fascinated by people who take time out of their lives to undertake challenging journeys. 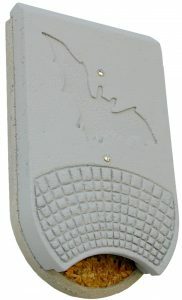 Are you a seasoned long-distance walker or is this the first walk of this length you have undertaken? How did you prepare for it, both physically and mentally? I used to do a lot of walking, but then children came along and life changed. So for 20 years I didn’t do much. But determination takes you a long way – and going to the gym. I just felt ready for the challenge and was so sure it was the right thing to do. But I did suffer from blisters! Still, a small price to pay and a good excuse to buy new boots for my most recent long distance walk – 230 miles through the Sierra Nevada in California along the John Muir Trail. That was tough, it made 500 miles along footpaths look like a stroll in the park. 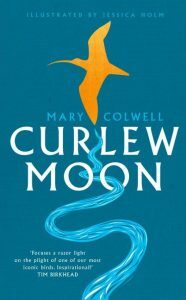 Curlew Moon by Mary Colwell is published by William Collins and is available from NHBS. You can read more about Mary and her work at www.curlewmedia.com. Signed copies of the book are available while stocks last. In late April and May bluebells create a stunning blue carpet in woodlands around the UK – a favourite sight for naturalists and walkers everywhere. Image by Carine06 via Flickr (CC BY 2.0). What is the Big Bluebell Watch? 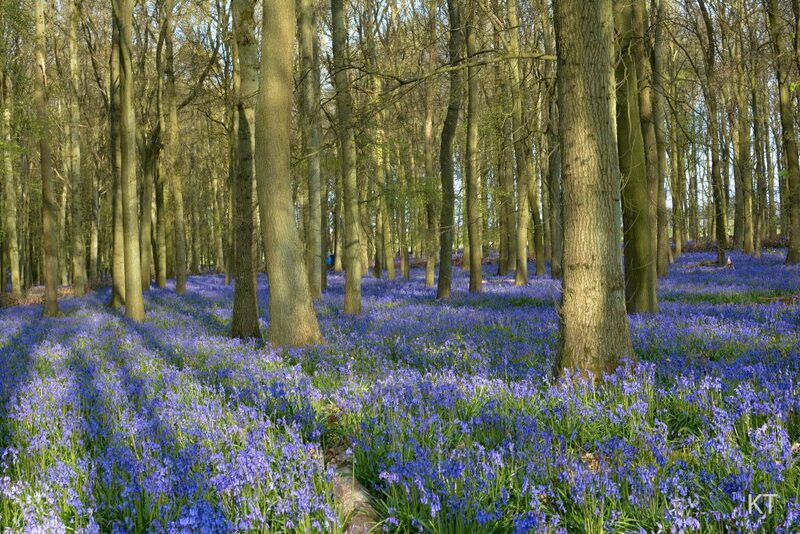 The Big Bluebell Watch is organised by the Woodland Trust and takes place from 2nd April until 31st May. 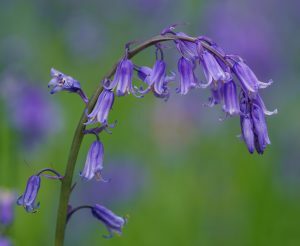 This nationwide survey involves members of the public submitting their sightings of bluebells around the UK via an online map, the results of which will allow the Woodland Trust to monitor the status of native bluebells and to guide future conservation efforts. Continue reading for more information about bluebells in the UK, as well as some tips on telling the difference between native and non-native species. Then head over to the Woodland Trust website to submit your findings. Our native bluebell, Hyacinthoides non-scripta, flowers between mid-April and the end of May, transforming our woodlands with a stunning blue carpet beneath the budding canopy. Although present throughout Western Europe, more than half of the world’s bluebells are found in the UK where they are an important indicator of ancient woodland. Despite being one of the nation’s favourite flowers, H. non-scripta is now threatened by habitat destruction, illegal collection and hybridisation with non-native species. Because of this, they are protected under the Wildlife and Countryside Act (1981) and, since 1998, it has been illegal to collect native bluebells from the wild. The Spanish bluebell (Hyacinthoides hispanica) is a closely related species which was introduced to Britain in the 1600s as an ornamental garden plant. It has now spread into our countryside where it hybridises freely with native bluebells. 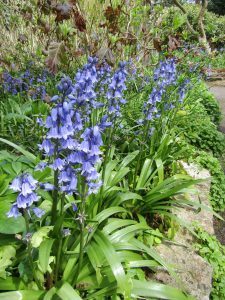 This is a problem as the hybrids tend to be hardier and can outcompete the native bluebell, while diluting their gene pool and characteristics. There is a huge concern that, if left without monitoring or management, the native British bluebell will no longer exist in the wild. The hybrid bluebell is a cross between these two types and may show a wide range of intermediate characteristics. If you find a bluebell that has any of the characteristics from the second list, then it is probably safe to assume that you are looking at a hybrid bluebell. Where do I submit my bluebell sightings? During April and May, the Woodland Trust are collecting records of bluebell sightings from all around the UK. It doesn’t matter where you see them – whether they are in your garden, in a field or in a woodland, every sighting is important and will help to build a comprehensive picture of the state of our native bluebells. If you’re not sure which type you’ve seen then you can still make a submission to the records. Submit your sightings before 31st May on the Woodland Trust website. 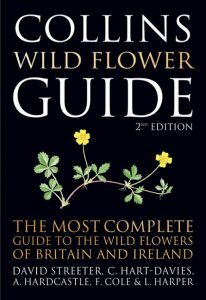 If you’re interested in learning more about the flowers and plants you see while out and about, why not pick up a wildflower guide. Below you will find a list of some of our bestsellers. 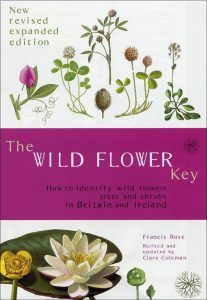 This is the first fully-illustrated and fully-mapped guide to the British and Irish flora, covering more than 1,900 species. Its restriction to the British Isles alone allows far more detail and more local information, and identification is made easier with the inclusion of maps for most species. 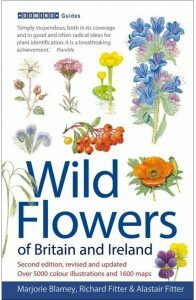 Featuring all flowering plants, including trees, grasses and ferns, this fully revised and updated field guide to the wild flowers of Britain and northern Europe is the most complete illustrated, single-volume guide ever published. Illustrated by leading botanical artists. 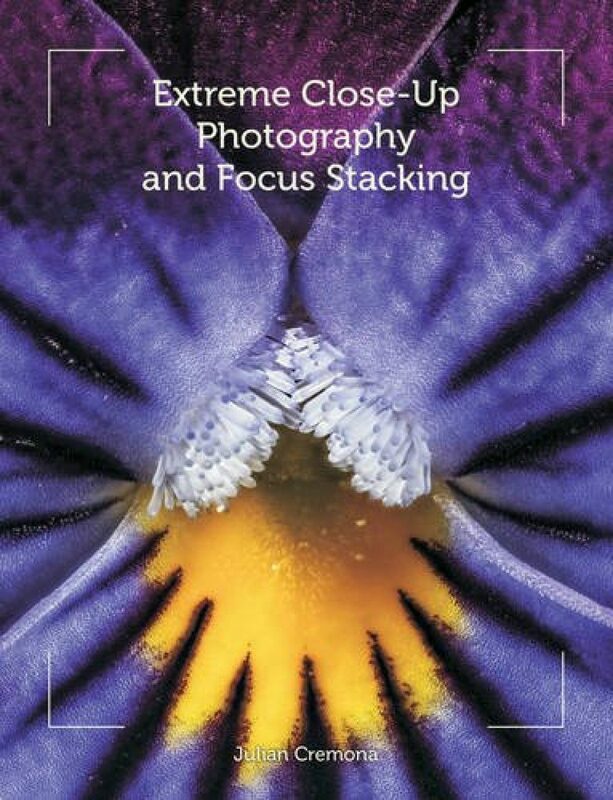 The expanded edition of this essential guide is packed with extra identification tips, innovative features designed to assist beginners and many more illustrations. Also includes a compilation of the latest research on ancient woodland indicator plants. New Year – the perfect time for new plans and resolutions. If you’re looking for a way to make a difference in 2018 then why not consider becoming a citizen scientist and contributing to some of the biggest and most exciting scientific studies happening today? 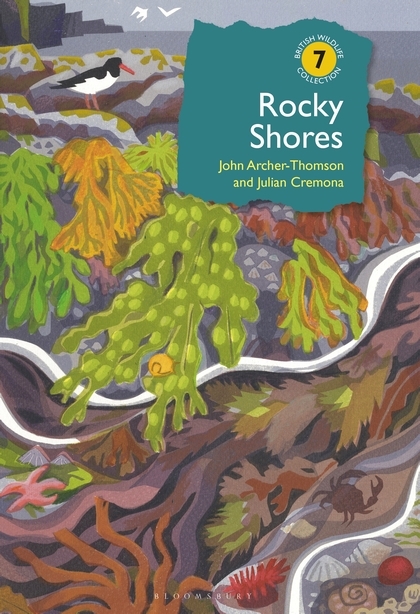 In this post we will take a look at the history of citizen science before providing you with a great list of projects that you can get involved in and a selection of books to inspire you. 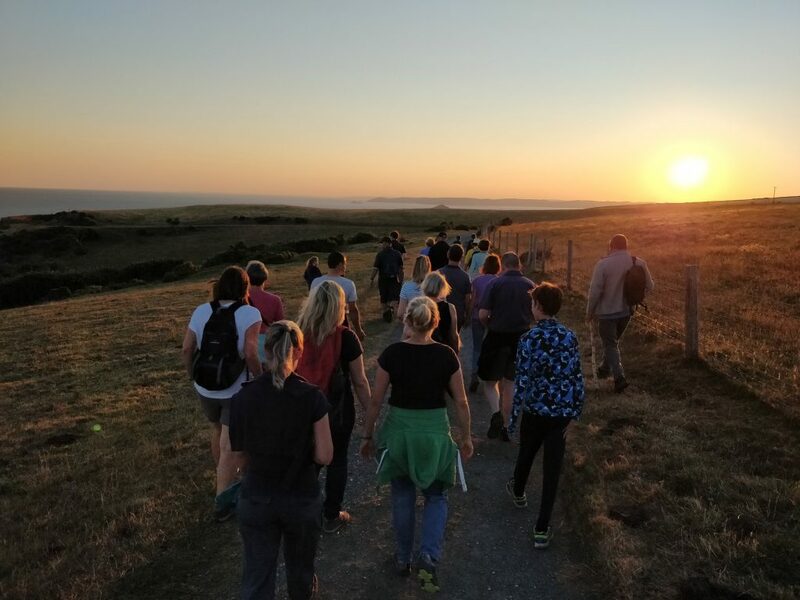 A BioBlitz provides a useful snapshot of the wildlife present in an area, and is also a great event where the community can gather and get to know eachother. Citizen science is a term used to describe any research that is conducted either wholly or in part by non-professionals. (I hesitate here to use the term “amateur” as this brings to mind individuals that are either unskilled or who are beginners in their field which, in many cases, couldn’t be further from the truth). Such projects are usually organised and managed by a professional research body or charity and areas of study can encompass anything from biology, physics and history to social sciences and technology. The term “citizen science” was first used in the mid-1990s. However, the concept of everyday non-professionals conducting science on their own terms is by no means a recent phenomenon. For example, Gregor Mendel, who provided much of the foundation for our modern understanding of genetics, was actually an Augustinian monk for most of his life. Susan Hendrickson who discovered the largest complete fossil of a Tyrannosaurus rex dropped out of high school to pursue her passion for specimen collecting. And even Charles Darwin initially went to university to study medicine before transferring to a Bachelor of Arts degree in the hopes that he would become a country parson. 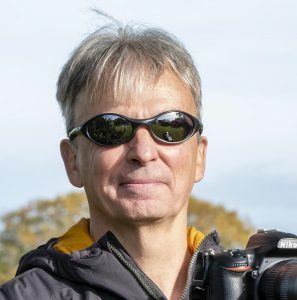 The urge to pursue the study of something, whether that be dinosaur bones or the theory of evolution, is not always associated with financial recompense and, in fact, this leads to one of the biggest benefits of modern citizen science projects: the ability to conduct studies on a scale many times larger than would ordinarily be viable. 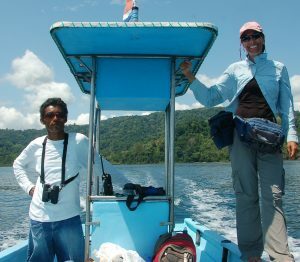 This is because most research projects, particularly those in the natural sciences, generate a huge amount of fieldwork and data. The time taken to collect and process this, as well as the cost incurred by employing people to do the work, can make them prohibitively expensive. Employing an army of citizen scientists who are willing to work for free solves both problems very nicely. The benefits are by no means one-sided however. Inspiring and educating those that get involved and the provision of vital public outreach are both incredibly important, and the psychological benefits of volunteering have long been documented. With the advent of the internet and a whole host of new technologies which make it easier than ever to communicate and share data, it is no wonder that citizen science has exploded in such a big way over the past two decades. Nationwide surveys such as the RSPB’s Big Garden Birdwatch and Butterfly Conservation’s Big Butterfly Count are now incredibly well-publicised and attract 1000s of volunteers. 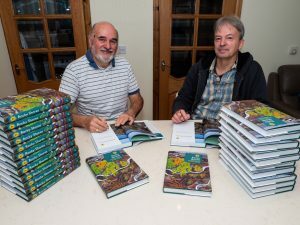 They provide just two excellent examples of how a country full of keen amateur naturalists can work together to expand the body of knowledge about our best-loved wildlife. 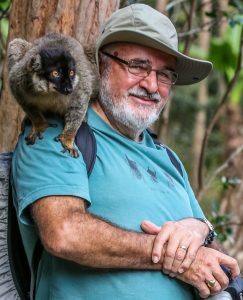 And it’s not just wildlife-lovers that are taking up the mantle of pioneering research. Projects such as I Like Clean Air, founded in Hackney, shows how everyday people can take their health and environment into their own hands, and collect the data they need to promote change in the places they live. Through their Be a Martian project, NASA are enlisting the help of people all over the world to analyse the data accumulated by their Mars exploration spacecraft and rovers. Even within the NHS, patient-led projects are a prime example of how people from all backgrounds can use their own knowledge and personal experiences to further science and understanding. 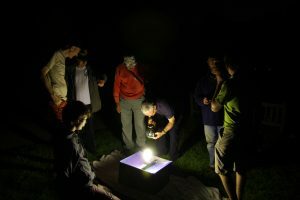 Moth trapping is fun for all ages and provides lots of useful data for local or national recording schemes. 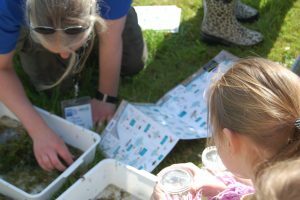 So, if you’re looking for a project to get involved in, keep reading for a list of wildlife and environment-related citizen science studies that you can take part in this year. Some of them might require a bit of legwork – perhaps you will need to go for a walk (or several walks) to record what you see. Others can be accomplished easily from a window looking out into your garden and a few can even be done online. This list by no means covers all of the options out there so, if there’s nothing here that takes your fancy, get in touch with your local Wildlife Trust or search the internet to find out what’s going on near you. Help to track the effects of weather and climate change by recording the happenings of the plants, animals and fungi where you live. A Bioblitz is an intense period of studying all of the wildlife within an area over a short period of time. Hosted by lots of different organisations and individuals, they occur throughout the year. Observe and record the birds in your garden over one weekend and help the RSPB identify the distribution and abundance of our favourite garden visitors. Contribute to the world’s largest survey of butterflies and day flying moths and provide vital data which will help scientists understand how climate change is affecting our local wildlife. The data collected during this annual event helps towards understanding and protecting cetaceans around the UK. Take part in an organised event or, if you have some experience, conduct your own watch. Record the wildflowers you see in your garden or when out walking, and help Plantlife to gather information on how wild plants are faring in our wild (and not so wild) spaces. Record individual sightings of amphibians and reptiles or take part in a longer-term monitoring project by revisiting a sample site several times a year. Submit your sightings of mammals using the online recording forms or via the handy Mammal Tracker App. The Natural History Museum runs a range of citizen science projects, some of which can be completed online. Their website also includes lots of useful information on setting up your own project, running a Bioblitz, and even creating a website for your own recording scheme. On the Zooniverse website you can participate in research of all kinds. As well as biology projects, there are others relating to history, literature, social science and much more. This comprehensive guide includes information on long- and short-term volunteering opportunities for people of all ages and backgrounds, from gap-year students to retirees. 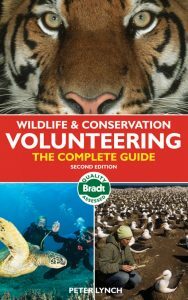 A must read for anyone wanting to contribute to wildlife conservation around the world. 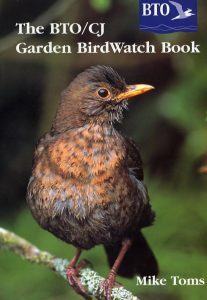 This enthralling book will provide you with information on how feeding our garden birds is affecting their survival, and will also encourage you to take part in the annual Big Garden Birdwatch. This annual survey is the largest monitoring scheme of its type in the world and is vital to our understanding of our garden birds and the factors affecting their survival. 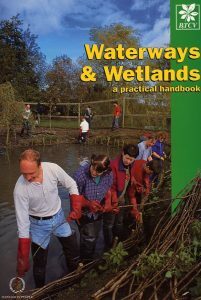 This series of practical guides aims to help individuals and groups of volunteers undertake practical conservation work. 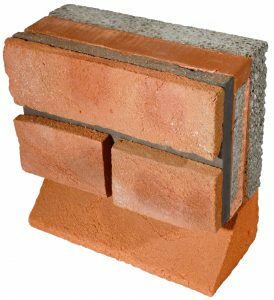 Covering a wide range of topics, such as dry stone walling, tree planting and toolcare, each book is illustrated and clearly laid out in a step-by-step format. 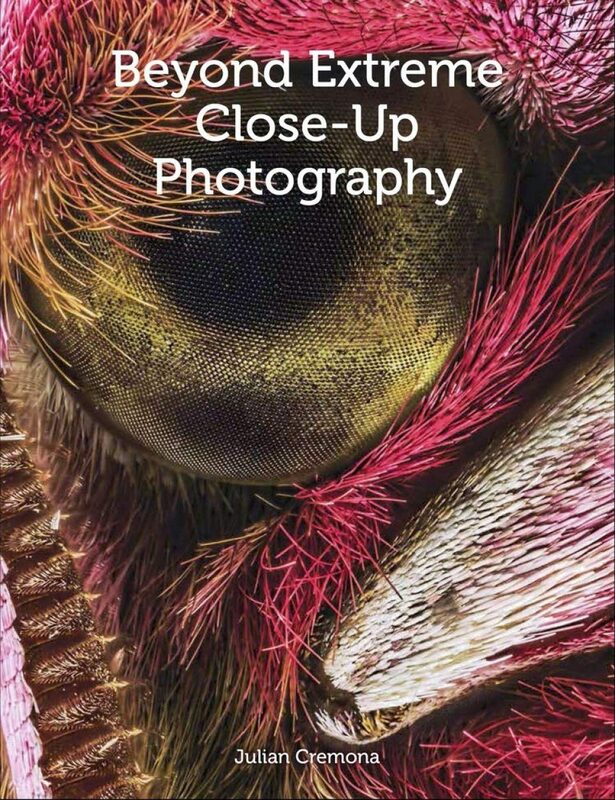 While not a primer on the prescribed protocols of citizen science, this book combines vivid natural history, a deep sense of place, and reflection about our changing world. 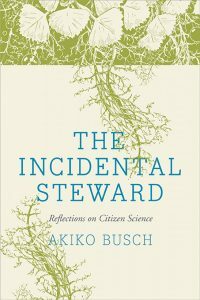 Musing on the expanding potential of citizen science, particularly in the US, the author celebrates today’s renewed volunteerism. This article will provide you with lots of fascinating hedgehog facts; learn about their natural history and behaviour and find out how the hedgehog is faring in Britain. 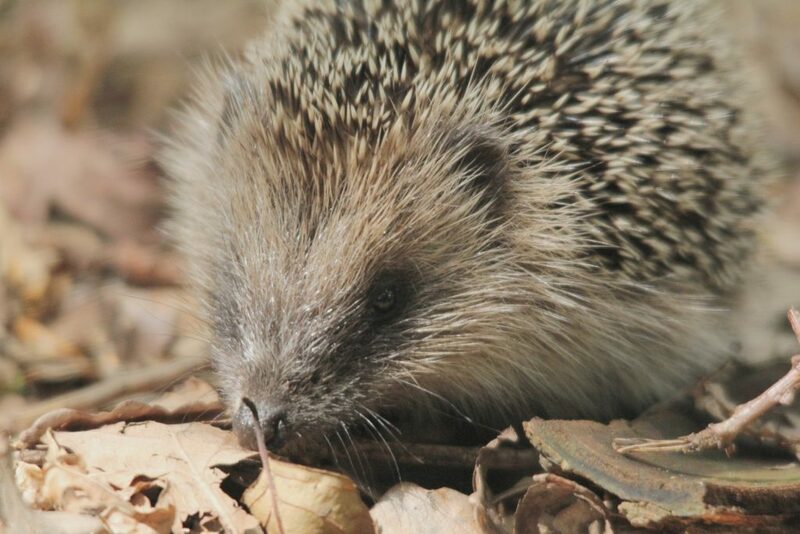 Discover ways to make your garden attractive to these spiny creatures and other ways to get involved with hedgehog conservation and monitoring. 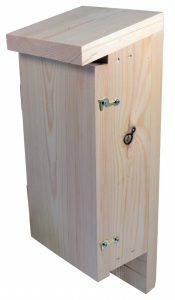 Plus, get tips on some further reading and view a great range of hedgehog houses and other gifts. The hedgehog found in Britain has the scientific name Erinaceus europaeus. With the exception of some of the Scottish islands, they are present almost everywhere in Britain. Hedgehogs have adapted well to urban habitats where they feed and nest in our wilder areas, parks and gardens. In more rural areas they utilise woodland edges and hedgerows where food and nesting spaces are plentiful. A fully grown hedgehog measures approximately 260mm from nose to tail and can weigh in excess of 1.1kg, although they may weigh considerably less than this at certain times of the year. The body of the hedgehog is covered in 25mm long spines which provide protection from predators: when threatened, hedgehogs will roll into a tight ball with their face, belly and limbs tucked carefully inside. Hedgehogs are omnivorous, feeding preferentially on beetles, caterpillars and earthworms, as well as slugs and snails. 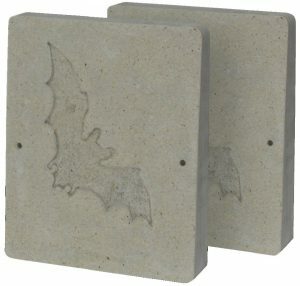 For this reason they are often referred to as the ‘gardener’s friend’. During the night they will travel long distances, eating as they go, before finding somewhere safe and sheltered to sleep during the day. A single hedgehog may travel up to 2km in a single night! Between November and the end of March, hedgehogs hibernate to conserve their energy, as there is very little food available for them during these months. In the mid-1990s the JNCC produced a review of British mammals, in which the population of hedgehogs in Britain was estimated at 1.55 million. Since then, citizen science schemes such as the BTOs Breeding Birds Survey and Garden Birdwatch, together with PTES’ Mammals on Roads and Living with Mammals have all contributed data to the picture, reporting significant declines in both rural and urban areas. This picture is a cause for concern, not only for the hedgehog itself but because, as a generalist species, their presence is a good indicator of ecosystem health. 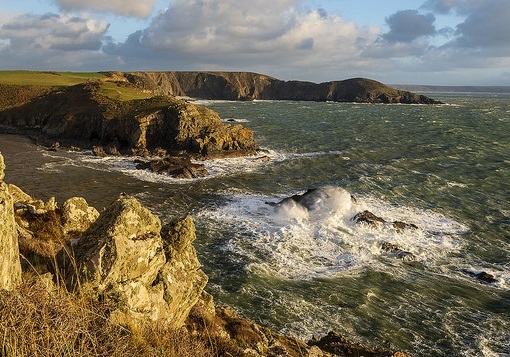 Their declines suggest a loss of key soil invertebrates and important landscape features such as hedgerows, as well a reduction in habitat connectivity. As a result of these declines, the hedgehog was made a priority species in 2007 as part of the UK Biodiversity Action Plan. 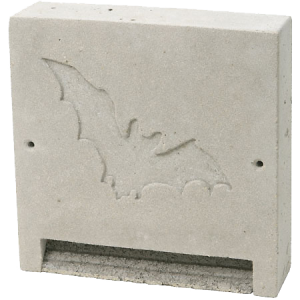 • Attempt to keep some areas wild and overgrown, as this will provide secure nesting and feeding spaces. 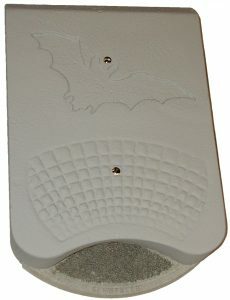 • If you have a garden fence, cut a hole at the bottom measuring 13 x 13cm as this will allow hedgehogs to pass through on their nightly wanderings. 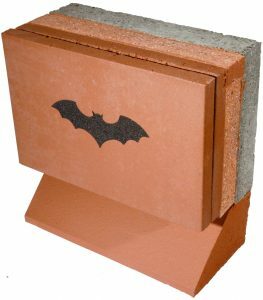 You could also remove a brick from the bottom of a wall or dig a channel underneath. 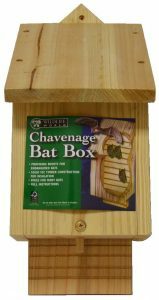 • Try not to use pesticides or slug pellets, as these are poisonous to other animals as well as slugs. • Provide a shallow dish of fresh water along with some dog or cat food, some chopped unsalted peanuts or some sunflower hearts. 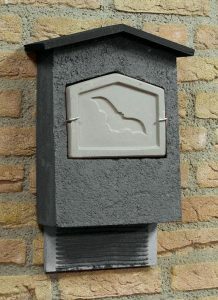 • Make or buy a hedgehog home. 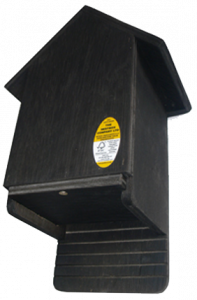 This will provide a safe and warm space for hedgehogs to hibernate throughout the winter, and also for a female to raise her young in the spring and summer. • Take care when mowing or strimming your lawn, particularly if your grass is very long to begin with. 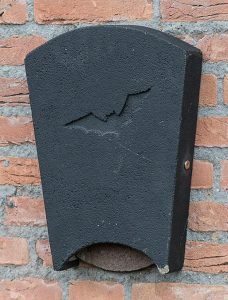 • Contribute to Hedgehog Street’s Big Hedgehog Map – by pledging to make a hedgehog hole in your garden wall or fence then registering this on the map, you can contribute to the network of hedgehog-friendly gardens that is being created all around the UK. You can also report a hedgehog sighting for addition to the map. 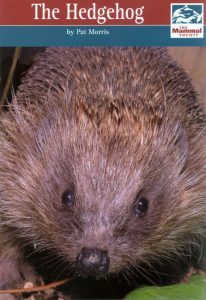 • Join the British Hedgehog Preservation Society – as well as raising awareness of hedgehogs and the challenges they face, the BHPS also helps to fund research into hedgehog behaviour and provides financial support to hedgehog carers. 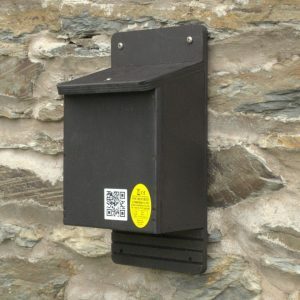 • Take part in a citizen science project – schemes such as the BTOs Breeding Birds Survey and Garden Birdwatch, together with PTES’ Mammals on Roads and Living with Mammals surveys, provide essential data about our local wildlife, all of which would be impossible to collect on such a large scale without the help of 1000s of volunteers. • Educate yourself about hedgehogs in the UK. Take a look at one of the excellent books below, or do some research online. This great guide provides lots of information about looking after the hedgehogs in your garden. 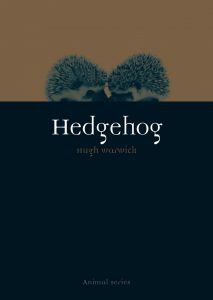 Presents scientific and down-to-earth information about one of Britain’s best-loved wild creatures, the bumbling and endearing hedgehog. 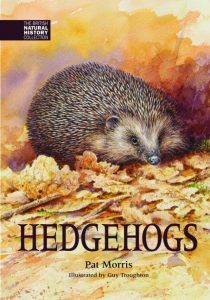 The principal ‘popular’ book on the hedgehog for over thirty years. The Romans regarded it as a weather prophet, and modern gardeners depend on it to keep their gardens free of pests. Hedgehog explores how the characteristics of this small creature have propelled it to the top of a number of polls of peoples’ favourite animals. 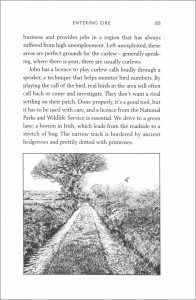 This Mammal Society booklet is written by UK hedgehog expert Pat Morris. It includes lots of general information on the biology and behaviour of the hedgehog. 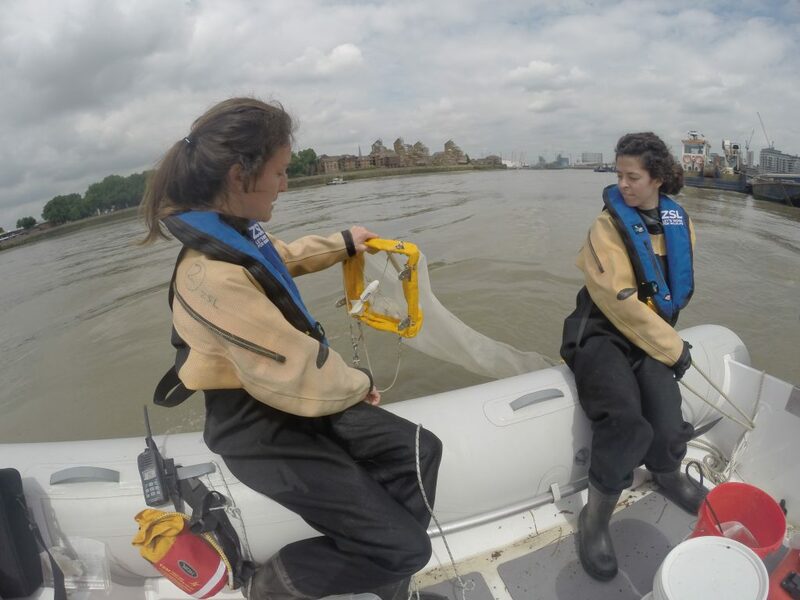 These bespoke nets, made by NHBS, are being used by ZSL in an ongoing project to monitor juvenile and larval fish populations in the Thames. Earlier this year we were contacted by the Zoological Society of London (ZSL) who were interested in working with us to make a bespoke aquatic survey net. 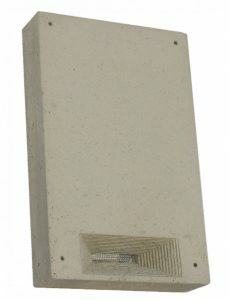 Their specifications required the net to have a square frame with a four point bridle and connections for a flow meter. 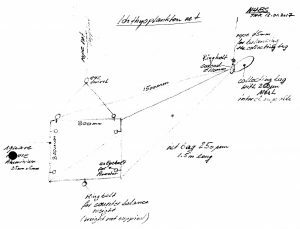 It also needed to have a diving vane which would ensure that it could be towed stably at a set depth, and a screw on cod end with a bag made from 53µm and 250µm mesh. 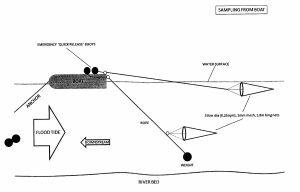 Following these guidelines, our engineer and seamstress got to work and within a couple of weeks a detailed specification was agreed. The nets were then manufactured and two were sent to ZSL in February. Several months later we were delighted to receive some photos from Anna Cucknell, who manages ZSL’s work on fish conservation in the Thames, showing the nets in use. 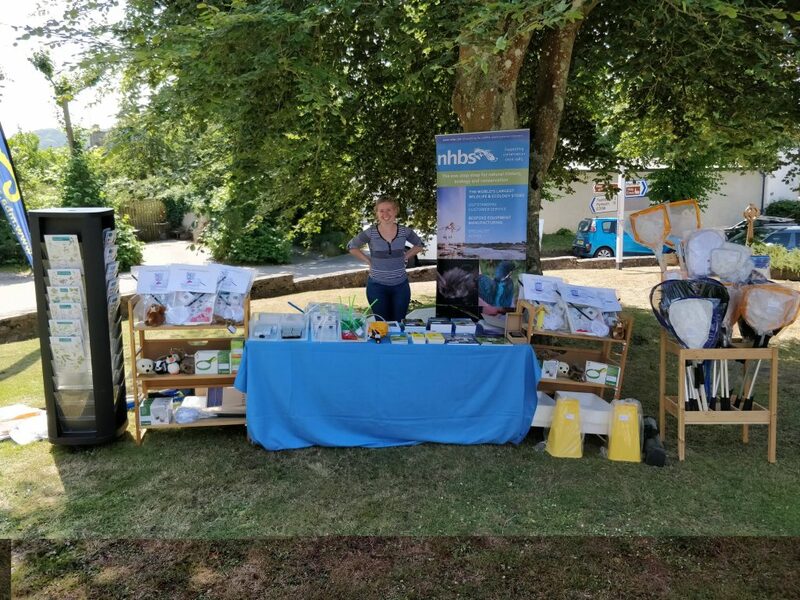 “It was great to work with NHBS, who listened to our specific needs to design bespoke sampling nets for juvenile fish, and used their experience to adapt our designs to fit our needs. Our juvenile fish surveys on the Thames are the first of their kind, in scale and resolution and we hope the results from which will be applicable in the Thames and further afield to help drive conservation and better management of our estuaries for all fish species”. Nets are towed both at the surface and at a depth of two metres. 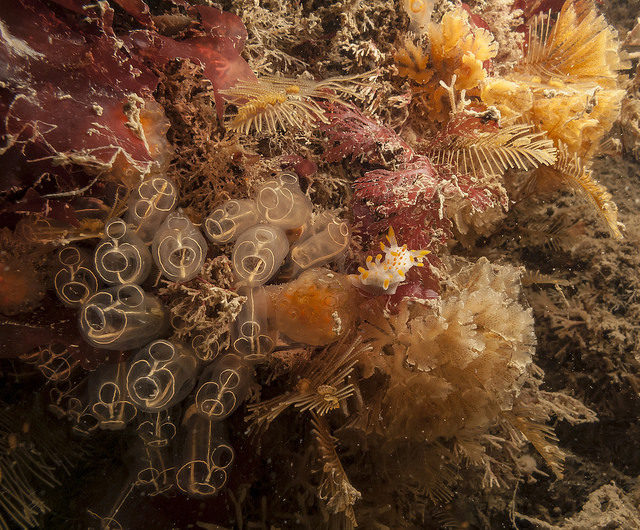 Combined with data from seine and intertidal nets, these surveys provide a comprehensive picture of larval and juvenile fish populations. 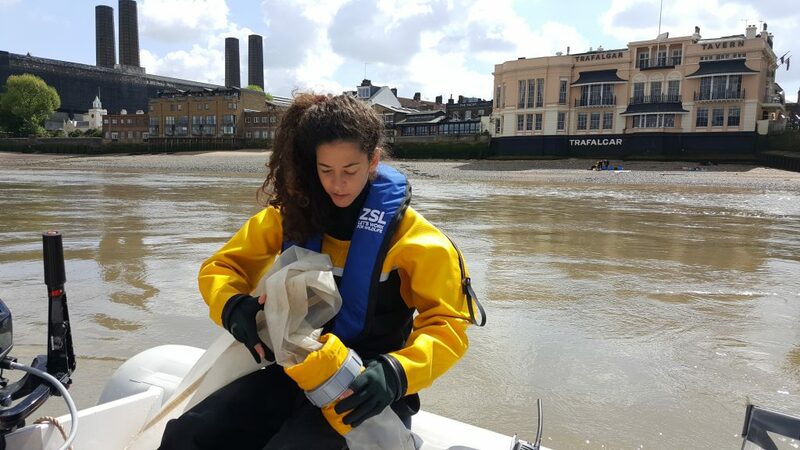 The nets we made for ZSL are being used for an ongoing project to monitor the use of the Thames by juvenile fish. The Tidal Thames is home to more than 100 fish species including many that are commercially important such as Dover sole and European seabass. It also provides critically important habitat for rarer species, including European smelt and European eel. Like most estuaries, the Thames provides invaluable spawning, migratory and nursery grounds but, despite this, the region is poorly studied. 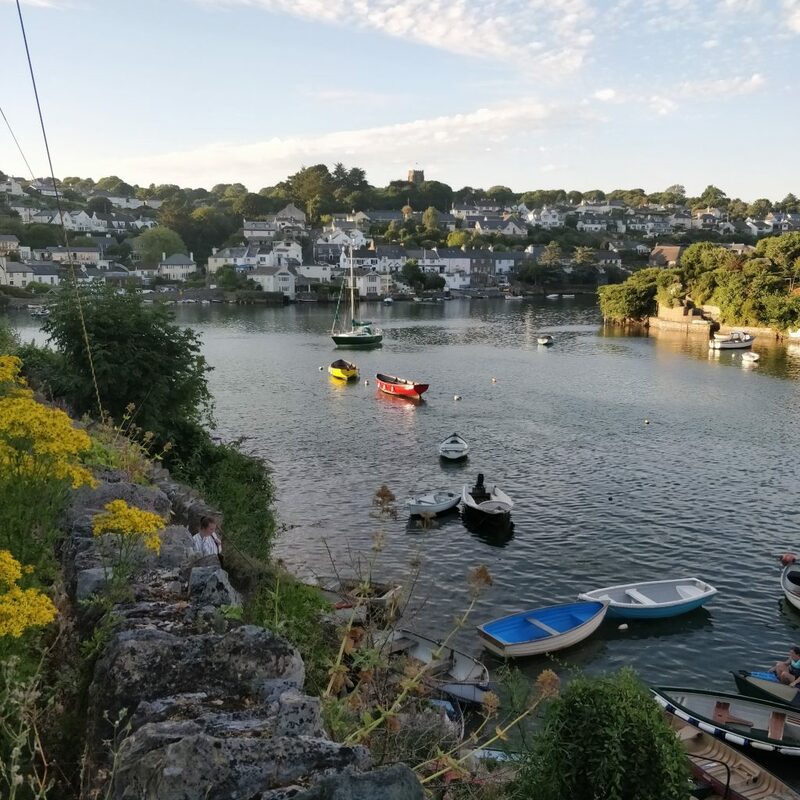 The ZSL project hopes to remedy this by providing essential information about the health of fish populations in the estuary, and to assess how these are affected by water quality and local developments. 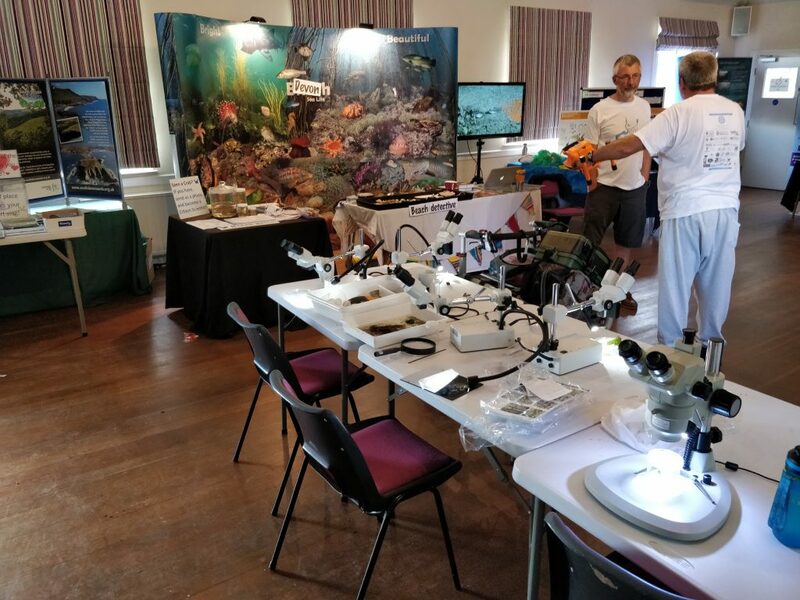 The project, funded by Tideway, involves both boat-based and foreshore sampling and, excitingly, also provides an opportunity for volunteers to get involved via its citizen science scheme. Volunteers can help with a variety of tasks including measuring, identifying and counting the fish. For more information about the Tidal Thames fish conservation project, head over to the ZSL website. Interested in getting involved? Sign up here to volunteer. 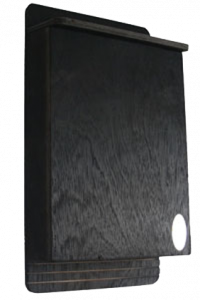 Have a bespoke project in mind? Contact our engineer, Thomas to discuss your requirements (email thomashk@nhbs.com or phone 01803 865913).